Hello lovely people and a very big welcome to my first ever post! I would love you to join me on this new adventure. My husband and I live in a small thatched cottage in the south west of the U.K. and have two grown up children and grandchildren. My constant companion is my little terrier, Bertie. Please excuse the dust! And apologies for the not so great photos; I took them with my tablet. The little jug hanging on my mini shelf (out of view) was also Nana's. The polka dot mat was gifted me by my friend Gwyn and comes from the U.S. The dresser itself is an Irish one and I'm sure will feature in the future. Back to crochet.... One thing I had never got my head or hands around was how to hold the hook and yarn correctly. I awkwardly held both in my right hand... I know, I know....but no matter how hard I tried I couldn't hold the yarn properly. Recently I've had a lot more time on my hands so I made my mind up, I was going to succeed. I thought I would make it easy for myself and make something small that didn't demand perfection... a dish cloth. I succeeded. Yes! (But I now have enough cloths to last me about ten years.) I cannot tell you how delighted I am because through persevering I now not only find it comfortable to crochet but I am becoming obsessed with hooky creativity. Yippee! Thanks so much for joining me and do pop over again. P.S. If you wish to leave a comment I would very much appreciate it. Thank you. Welcome to the world of blogging Tracey! And what a lovely first post, a delight to read! I'm sure there will be plenty of crochet lovelies to come from you and they will be a joy to see! I hope the sun is aging for you today! Hi Tracey, welcome to blog land. It's the most wonderful place to be! 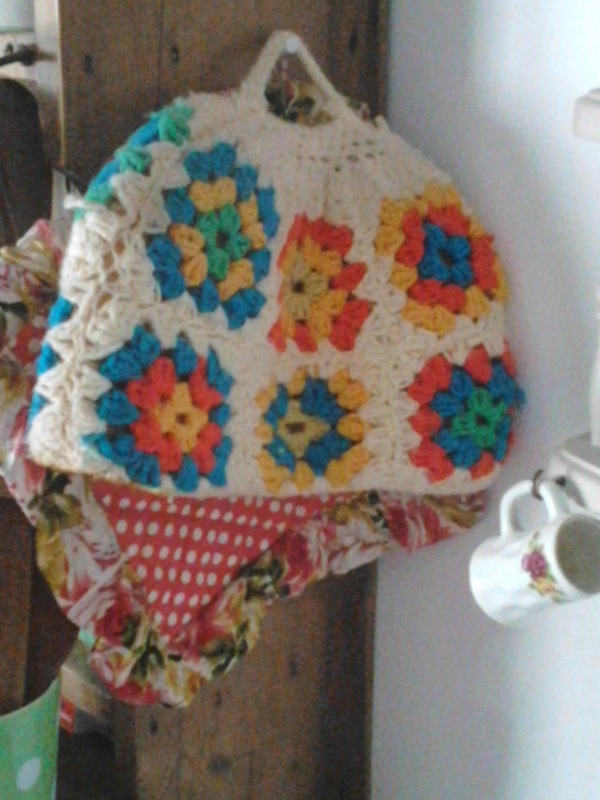 Look forward to seeing many more lovely makes from you....even if it's dishcloths. I love anything "crochet"! 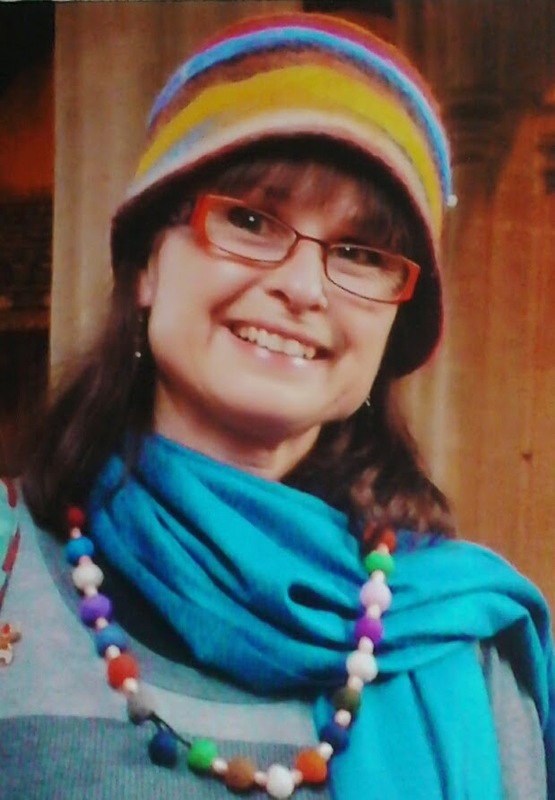 Hello Tracey, and a big happy welcome to blog land - such a sweet first post you've written and I certainly will be looking forward to many more, and getting to know you and your 'craftiness'! Blogland is wonderful and I've made so many dear friends through this 'show and tell' community - I'm wishing you the very best of the best too! 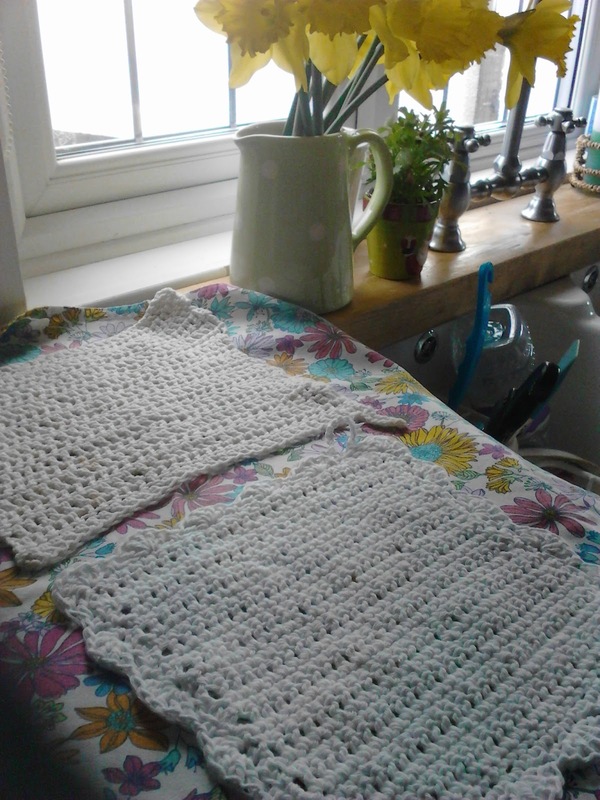 Happy crocheting and blogging! Joy, thank you for your lovely, kind message. It's taking a lot of time to get my head around the techy side of a blog but I am really enjoying it nevertheless. But, shock and horror...I've had no time to indulge in yarny yummyness! I guess I will become more adept at it as I get use to it.